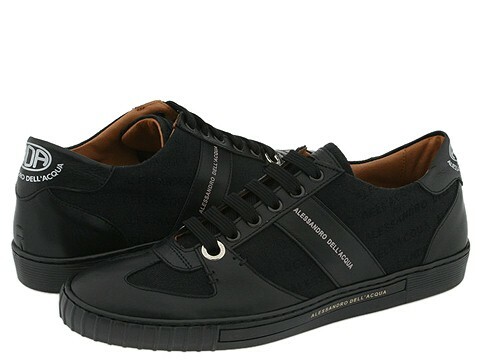 This super cool Alessandro Dell'Acqua sneaker has high-fashion style written all over it! ; Combination logo embroidered fabric and leather upper. Leather lining. Rubber sole. Made in Italy.